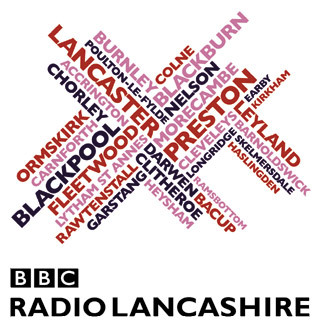 Lancashire Sings Christmas began in 2010 when Churches Together in Lancashire teamed up with BBC Radio Lancashire to broadcast a carol service with a difference. Churches, community groups and individuals were encouraged to take their radios, carol sheets and Christmas cheer out into pubs, coffee shops, residential homes, village greens and sitting rooms and join with the rest of the county in singing well known carols. The response was amazing. On a very wet and cold night just before Christmas 65 venues tuned and in and sang the Christmas story. Everyone was led in the singing by the Blackburn Salvation Army band (who have joined us every year) and an audience in the radio theatre in Blackburn. 2011 was even better with 90 venues participating and 2012 was our best ever with 105 groups going out to bring some festive cheer! 2014 was nominated for a national radio award. We’ve had a variety of meeting places from cosy pubs and residential homes to blustery village greens and parks. We’ve even had singers on platform 4 of Preston railway station and a funeral parlour in Lytham! In 2017 the BBC asked listeners to post videos of their venues singing a carol – there were post from more than a hundred venues! We’d love you to join with us this year. We will be uploading a helpful hints sheets for event organisers soon. We’ll also have carol sheets, posters & invites.